1 // Gucci Flora - this is my newest fragrance and number one of 2017, there is a mix of peonies and fresh citrus which smells amazing. As well as a sandalwood and patchouli base. The scent really lingers all day which I absolutely love. I also adore the simplicity of the bottle with the black tie detail! 2 // Jimmy Choo Blossom - This perfume was actually one of my Mum's and I constantly stole or 'borrowed' it from her because I love the citrus notes with red berries. It's a real summery, feminine scent. 3 // POP by Stella McCartney - This perfume also has the floral scent - of course, because it wouldn't be a spring perfume without the tuberose and scandalwood. 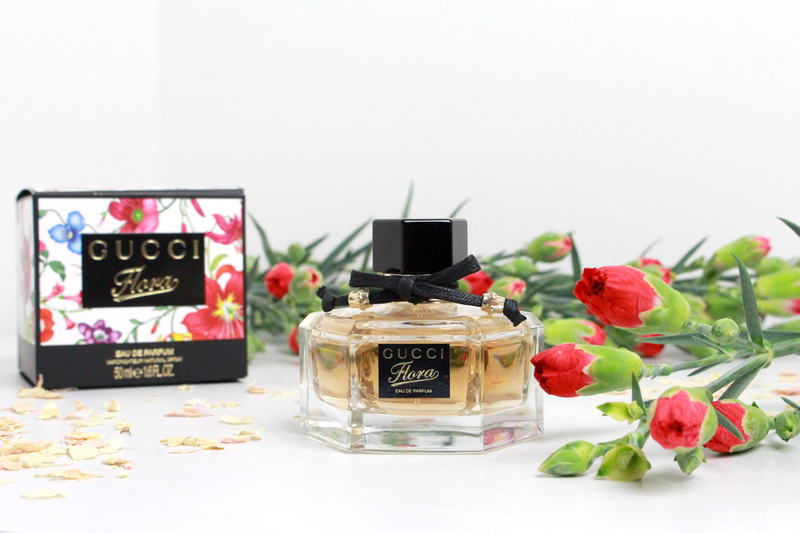 You've probably seen this perfume a lot, it is definitely a bloggers fave!